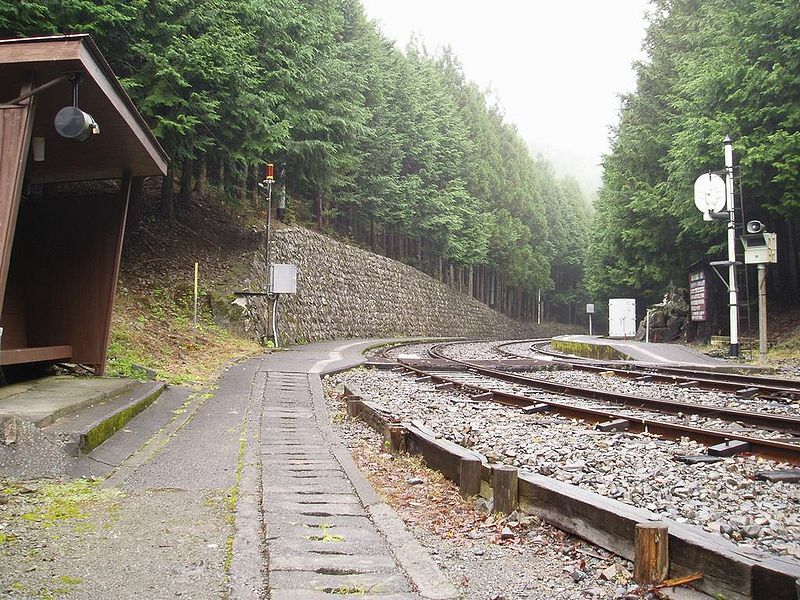 The Ikawa line began operations on March 20, 1935, as a private line for the Ōigawa Electric Company, to carry workers and materials upstream to facilitate dam construction. 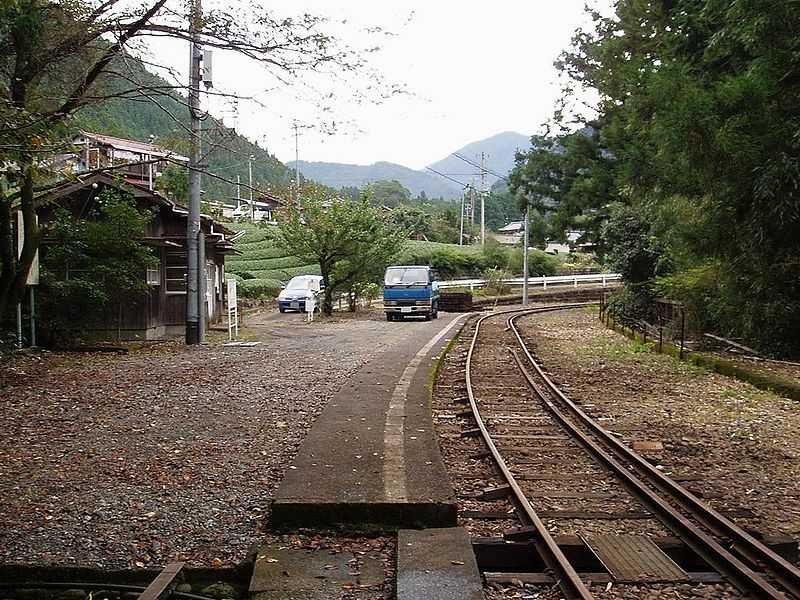 The single track line was originally constructed with 762 mm (2 ft 6 in) narrow gauge; however, in order to have dual usage with carriages on the Senzu-Shinrin Line (now closed) a third rail was added the following year for the Japanese standard gauge (1,067 mm (3 ft 6 in)). 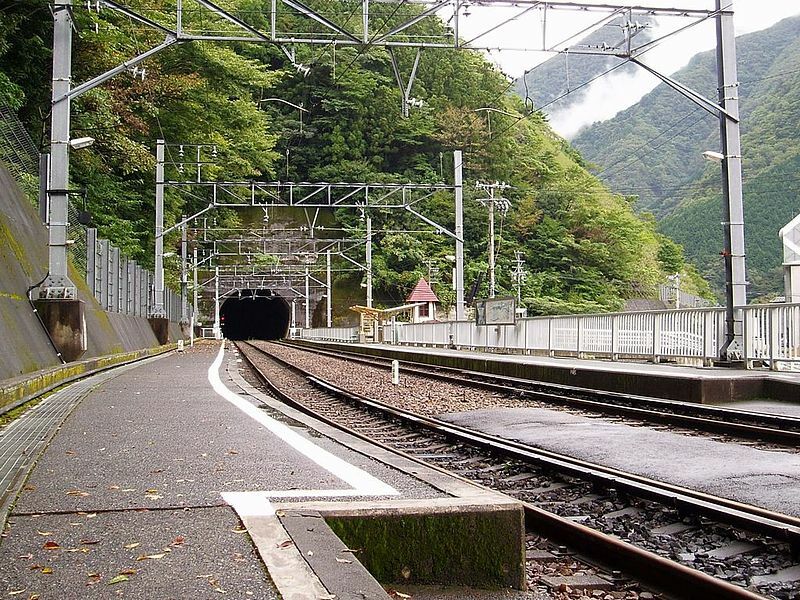 In 1954, the line was extended under the aegis of the Chubu Electric Power Company to facilitate the construction of the Ōigawa Dam. 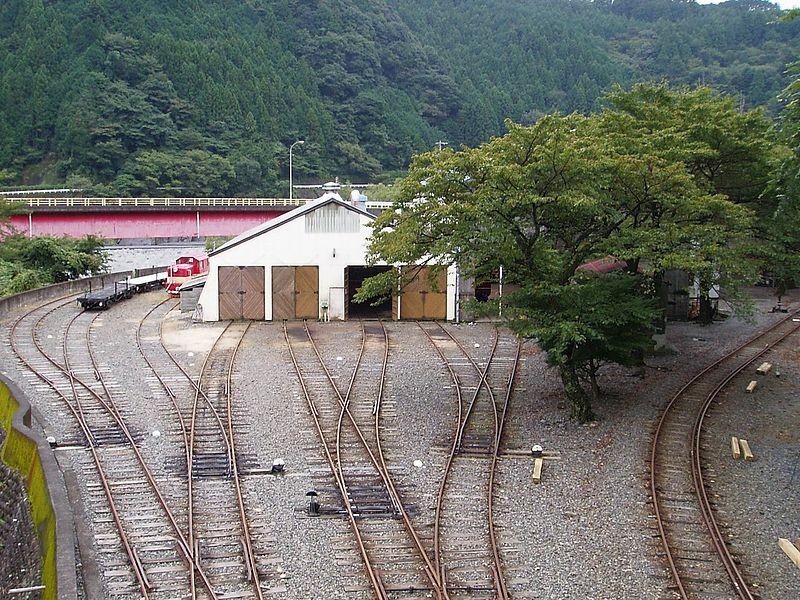 Railway operations were spun out of Chubu Electric into a separate company in 1959, with the foundation of the Ōigawa Railway Company. With the completion of the Nagashima Dam, a portion of the line had to be re-routed along a 1.5 km section with a maximum gradient of 9% (~1 in 11). This required the installation of an Abt rack system on October 2, 1990. An automatic train stop system was installed at the end of March 2009. The line runs through an isolated mountain area with no cities or towns, and has a very small population density. Most of the passengers are tourists visiting one of the hot spring resorts along the line, or alpinists and hikers heading for the peaks of the Southern Alps National Park. 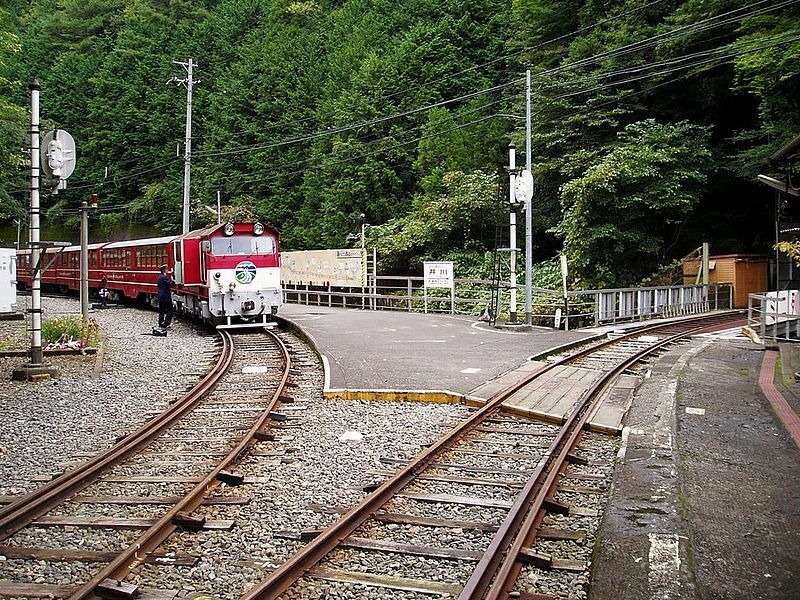 Senzu station is also the last station for Steam Locomotives on the Ooigawa Main Railway Line. 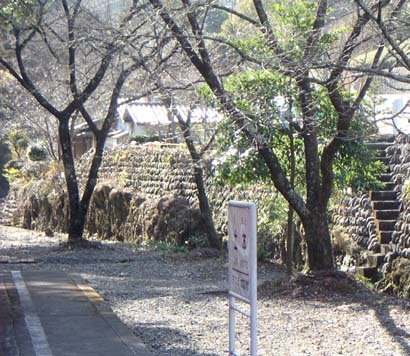 Senzu Station was one of the original stations of the Ōigawa Main Line, and was opened on December 1, 1931. Senzu Station is a major station with a bay platform for six tracks, only 2 of which are in regular use. The station building is also a local department store. 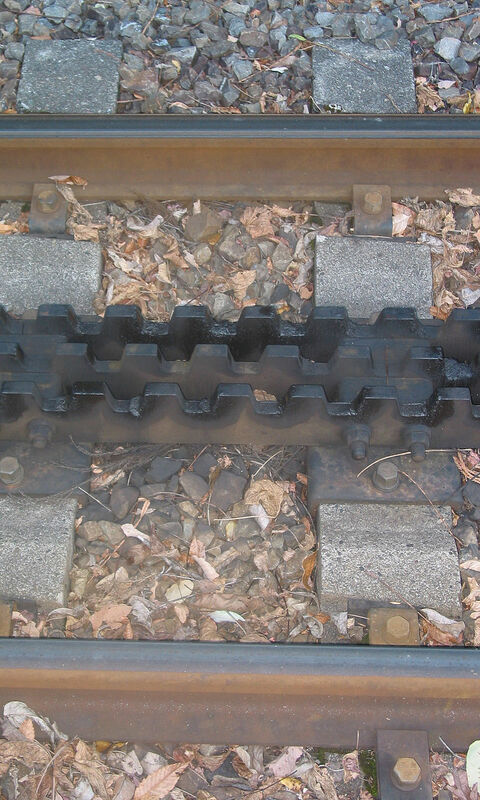 The station retains a manually operated turntable for use by the line’s steam locomotives, but this is no longer operational. The station also maintains a small museum pertaining to the line’s steam locomotive operations. Kawane-Ryōgoku Station was opened on August 1, 1959. The main rail yard for the Ōigawa Railway is located at this station. Kawane Ryoogoku Station inner platform and tracks. Kawane-Ryōgoku Station has a single side platform joined to an island platform by a level crossing. 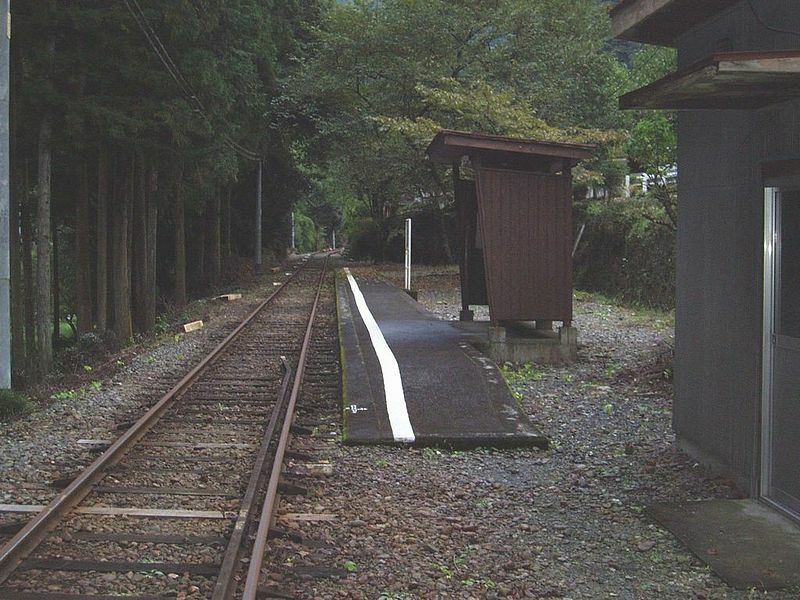 Only two tracks are in regular use, with the track on the far side of the island platform and a shunt track used for maintenance and for freight services. The small station building is unmanned. Sawama Station was opened on August 1, 1959. 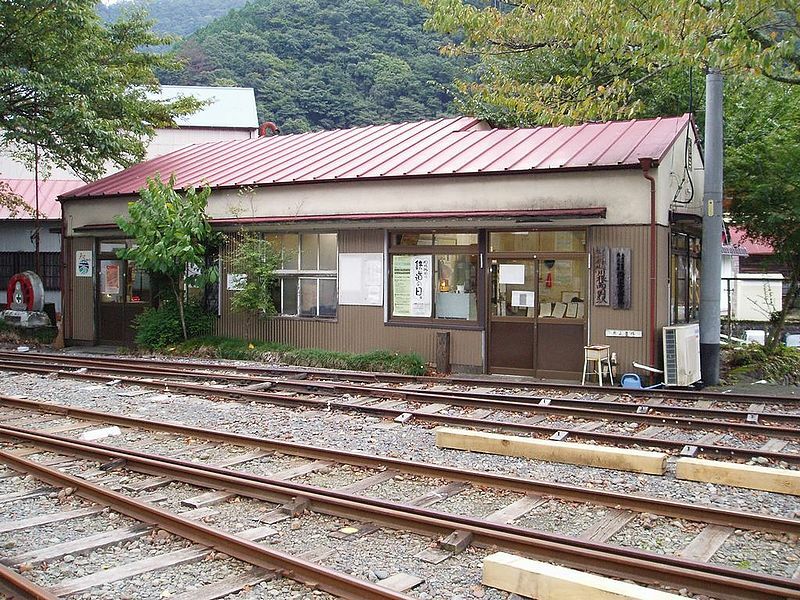 Sawama Station has a single side platform serving a single track, and a small rain shelter for passengers. 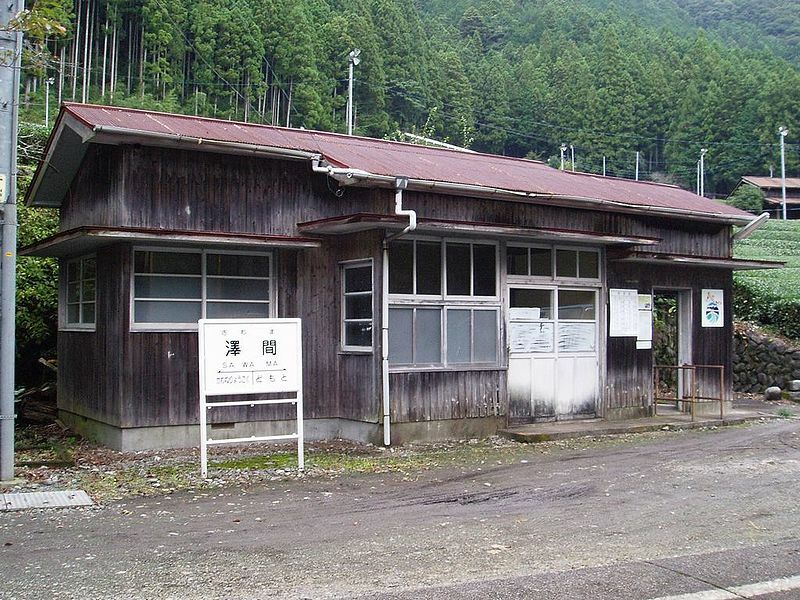 Domoto Station was opened on August 1, 1959. Located in an isolated mountain area surrounded by dense forest, it receives few passengers. 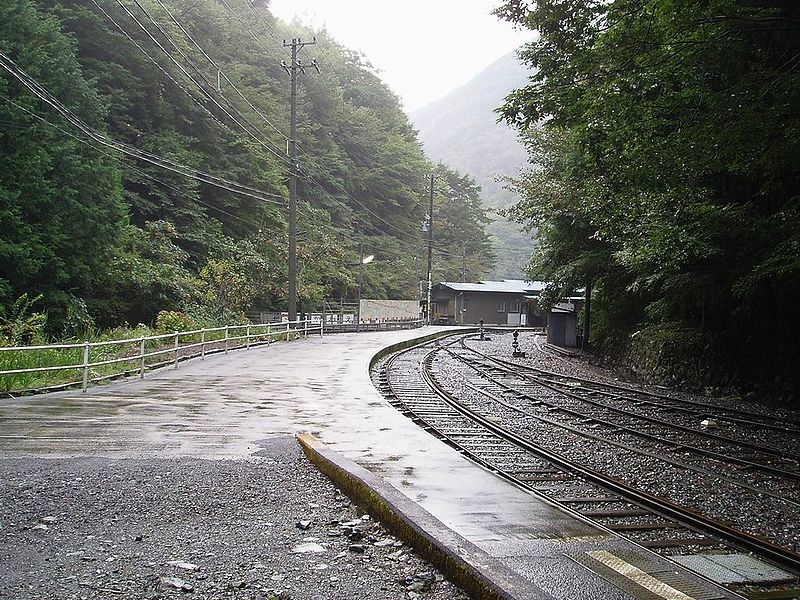 Domoto Station has a single side platforms serving a single track, and a small rain shelter for passengers. 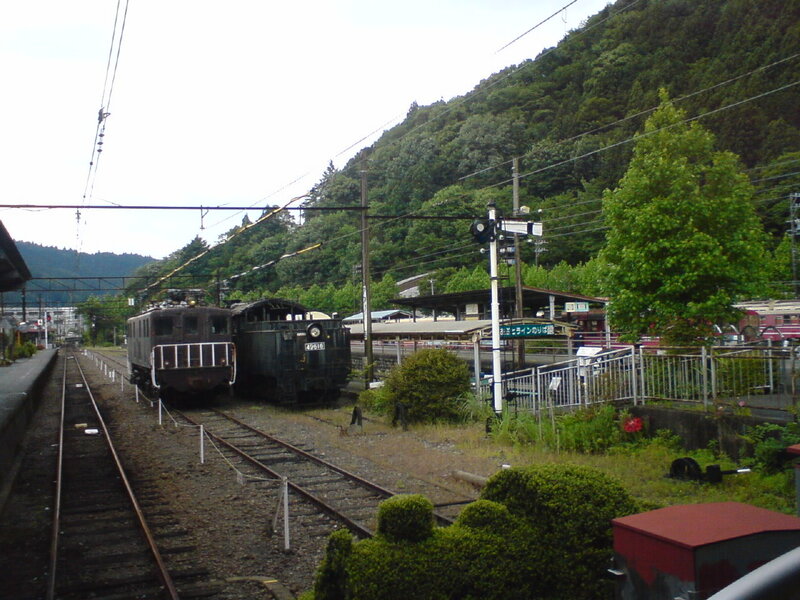 Kawane-Koyama Station was opened on August 1, 1959. 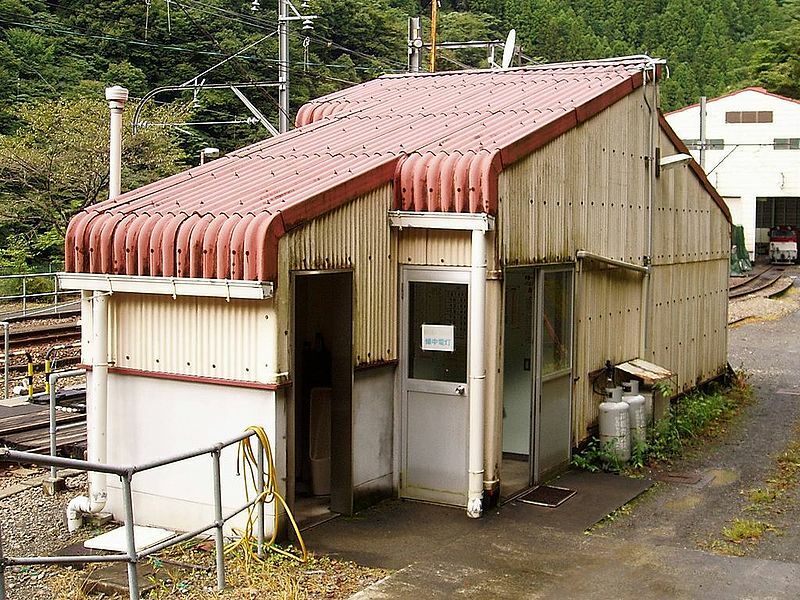 Kawane-Koyama has opposed side platforms serving two tracks, and a small log-cabin type rain shelter for passengers. Okuizumi Station was opened on August 1, 1959. 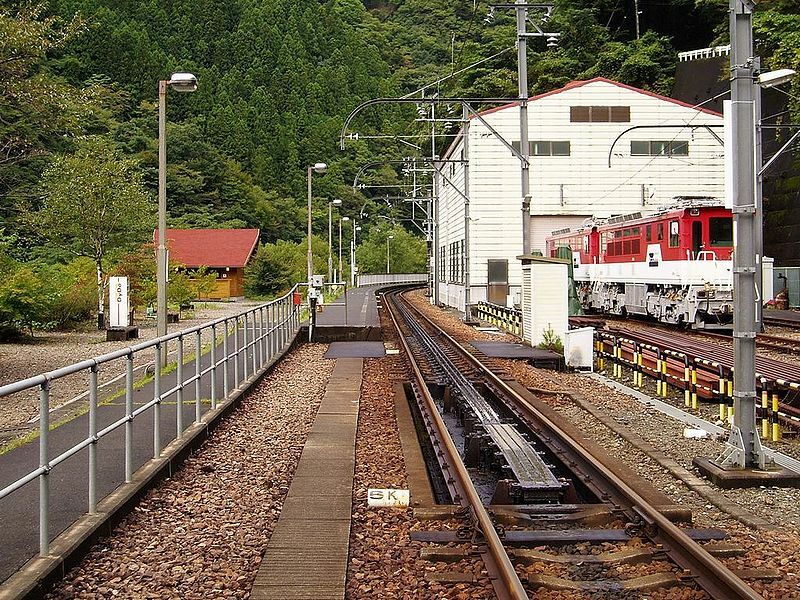 Okuizumi Station has an island platforms serving two tracks, and a small manned station building. 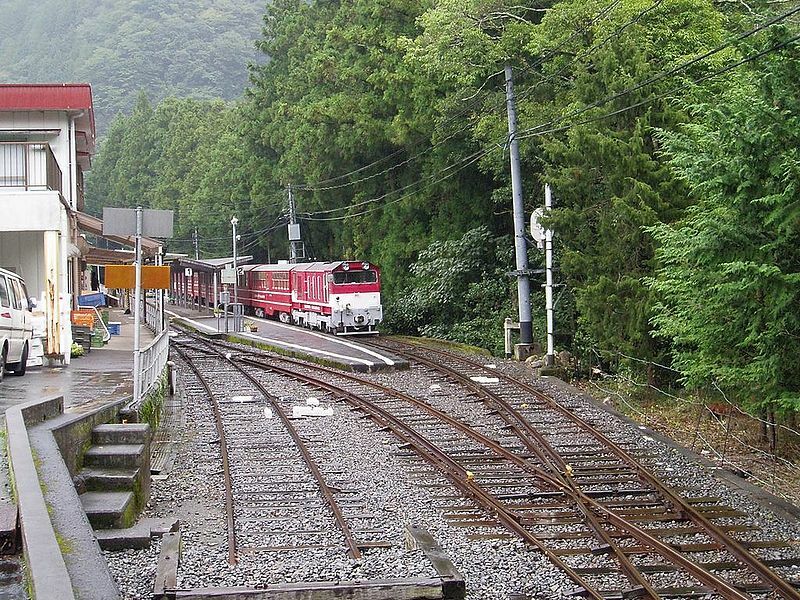 Abt Ichishiro Station was opened on August 1, 1959 and was originally named Kawane-Ichishiro Station (川根市代駅). 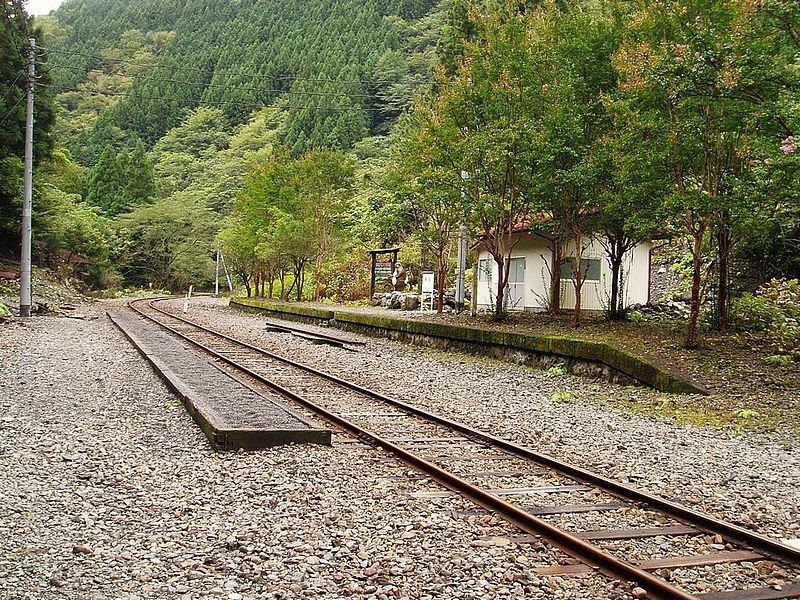 The original line past this station and the stations on that line are now submerged under the waters of the reservoir created by the completion of the Nagashima Dam. When Nagashima Dam Station was built in 1990, the present Abt system was installed. 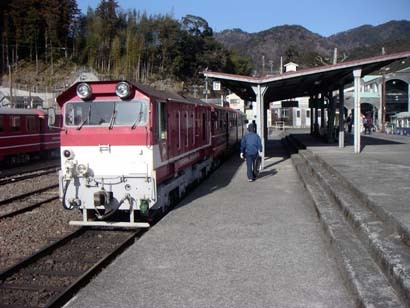 Abt Ichishiro Station has an opposed side platforms serving two tracks, and a small red-roofed station building. Nagashima Dam Station was opened on October 2, 1990, when part of the Ikawa Line was re-routed to avoid the rising waters of the lake created by the Nagashima Dam. Nagashima Dam Station Platform and Tracks. Nagashima Dam Station has an opposed side platforms serving two tracks, and a small red-roofed station building. 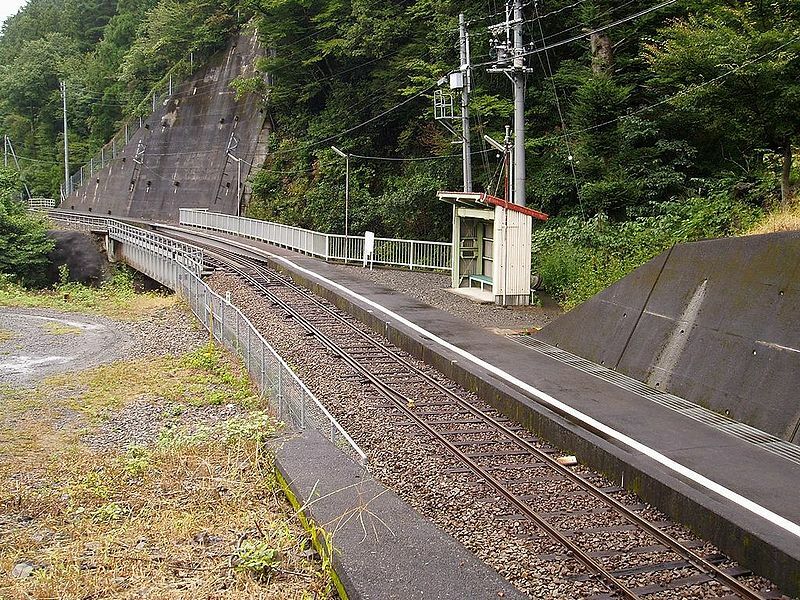 Hiranda Station was opened on October 2, 1990, when part of the Ikawa Line was re-routed to avoid the rising waters of the lake created by the Nagashima Dam. Located in an isolated mountain area surrounded by forests, it has very few passengers. Hiranda Station has a single side platform and a small unmanned shelter for passengers. 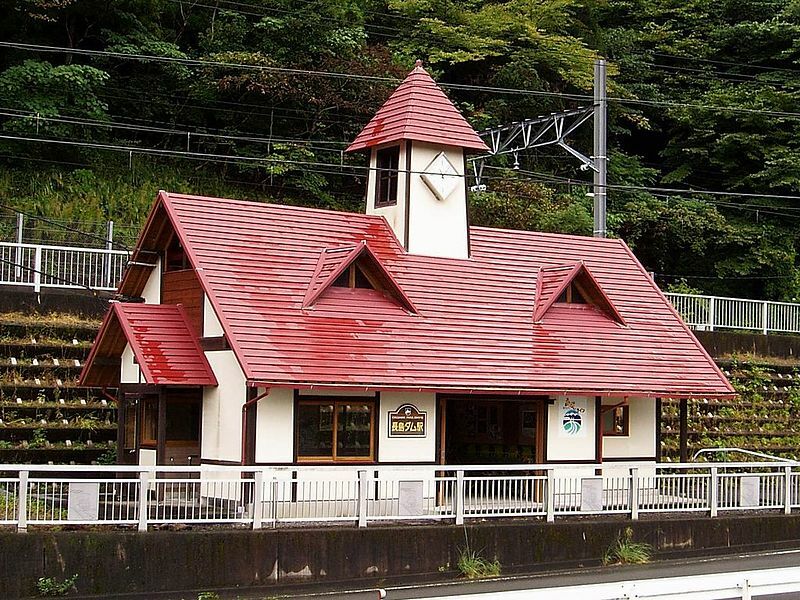 Okuōikojō Station was opened on October 2, 1990 when part of the Ikawa Line was re-routed to avoid the rising waters of the lake created by the Nagashima Dam. 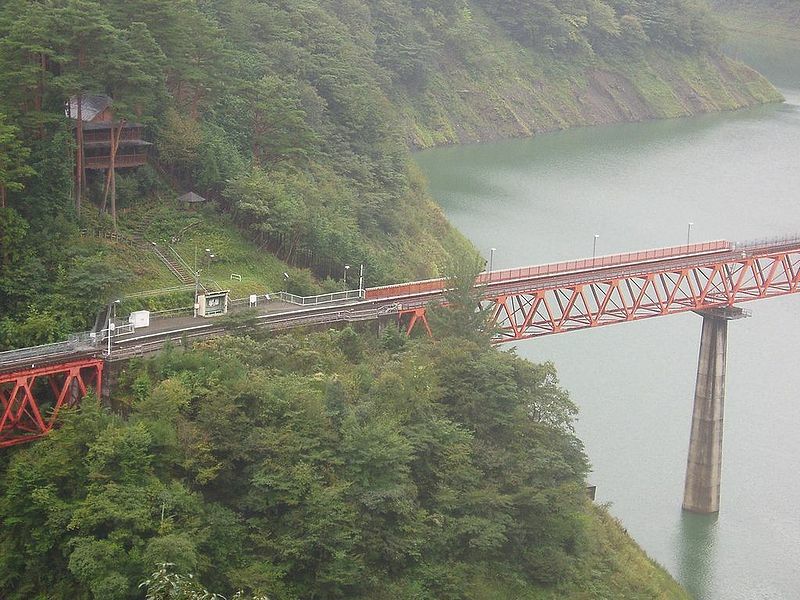 Located on a cliff next to the Okuōi Reservoir created by the Nagashima Dam, the station platform partially extends onto a bridge spanning the reservoir. Okuōikojō has a single side platforms with a small unmanned shelter on the platform for passengers. 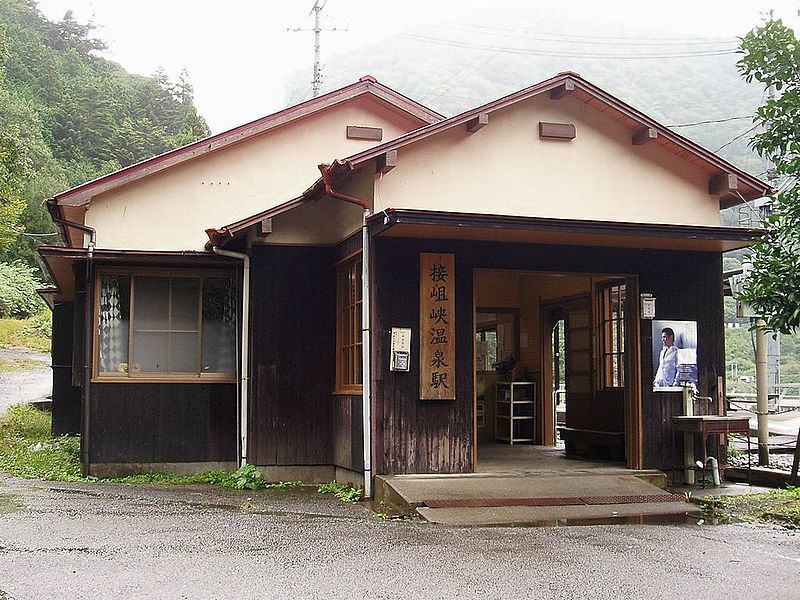 Sessokyō-Onsen Station was opened on August 1, 1959 as Kawane-Nakashima Station (川根長島駅?). It was built primarily to support dam construction activities at the nearby Nagashima Dam. On completion of the dam in October 1990, it was renamed to its present name as part of an effort to draw customers to the nearby Sessokyō-Onsen hot springs resort. 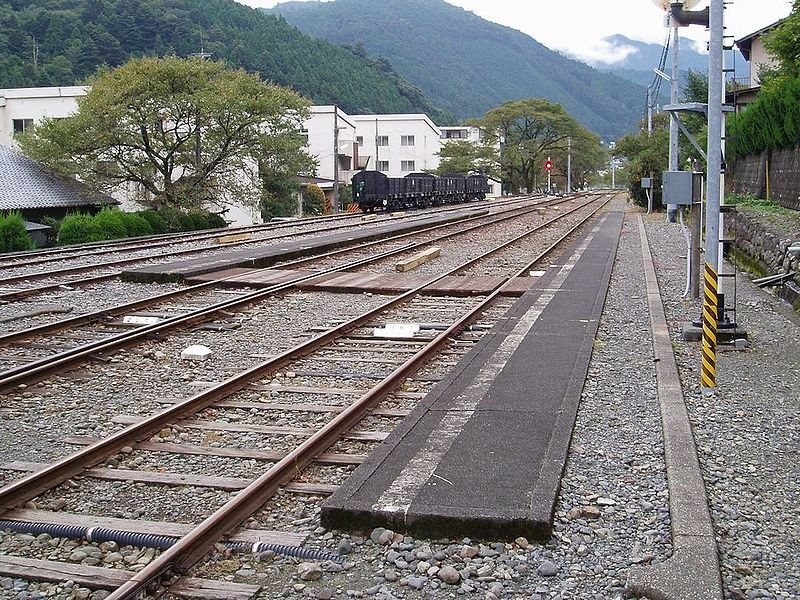 Sessokyoo Onsen Station Platform and Tracks. 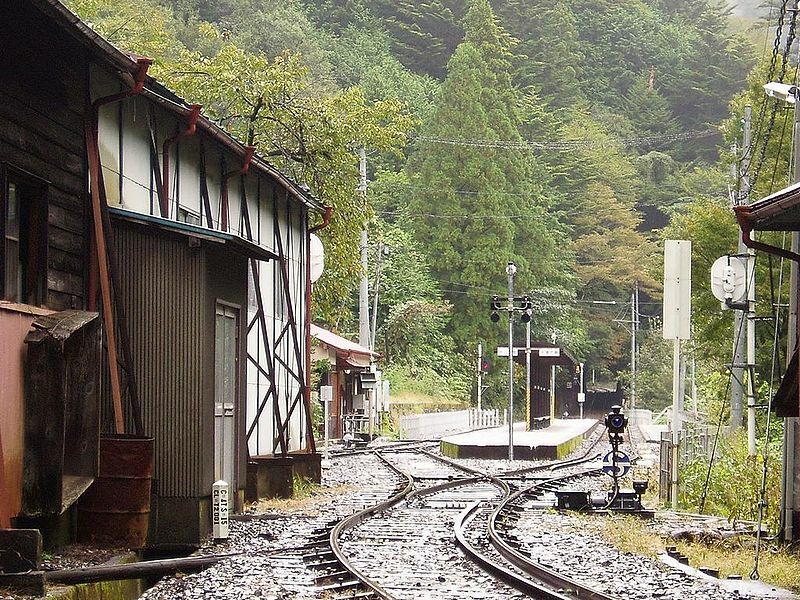 Sessokyō-Onsen Station an island platform serving two tracks, and a small manned station building. Omori Station was opened on August 1, 1959. Located in an isolated mountain area surrounded by forests, it has very few passengers. It was built primarily to support dam construction activities in the area in the 1960s. Omori Station has opposed side platforms a small unmanned shelter on the platform for passengers. Kanzō Station was opened on August 1, 1959. Located in an isolated mountain area surrounded by forests, it has very few passengers. 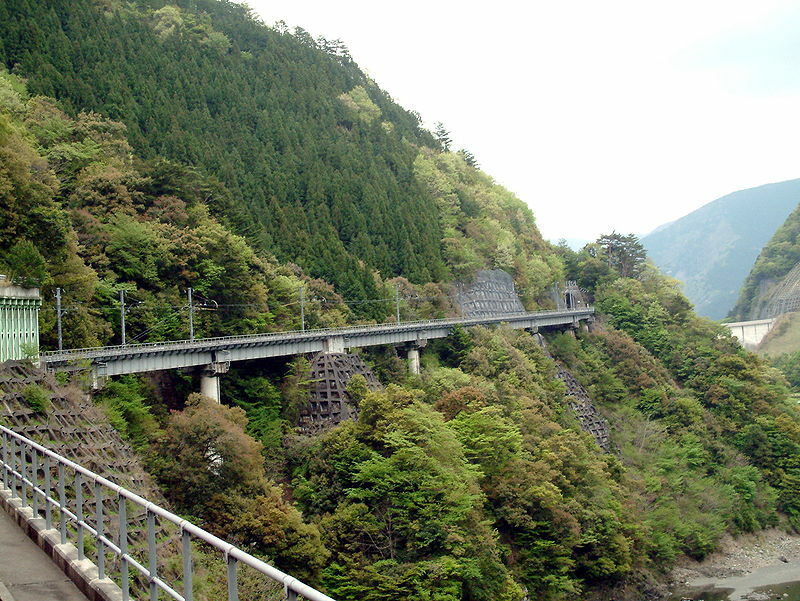 It was built primarily to support dam construction activities in the Ōi River area in the 1960s. Kanzō Station has opposed side platforms a small unmanned lean-to rain shelter on the platform for passengers. 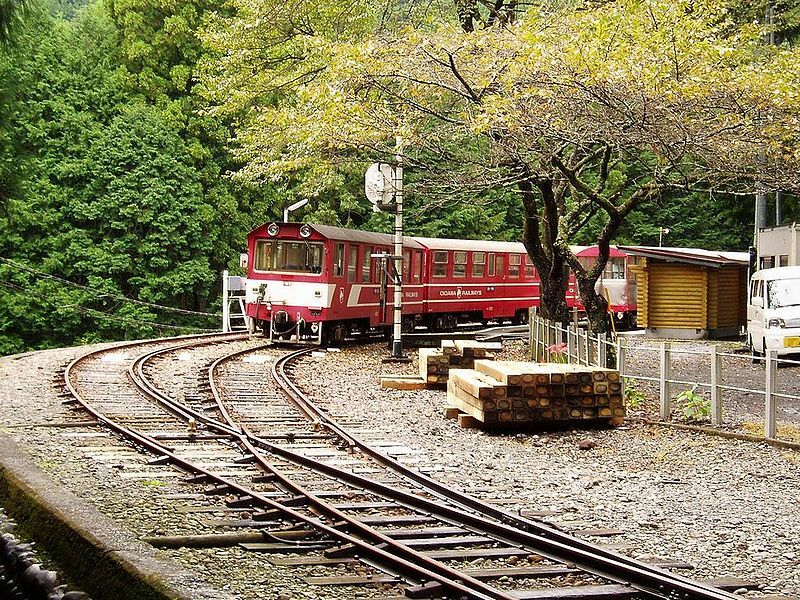 At an altitude of 636 metres (2,087 ft), it is the highest railway station in Shizuoka Prefecture. It is located near Ikawa Dam. Ikawa Station was opened on August 1, 1959. Ikawa Station has a wedge-shaped island platform for two tracks. 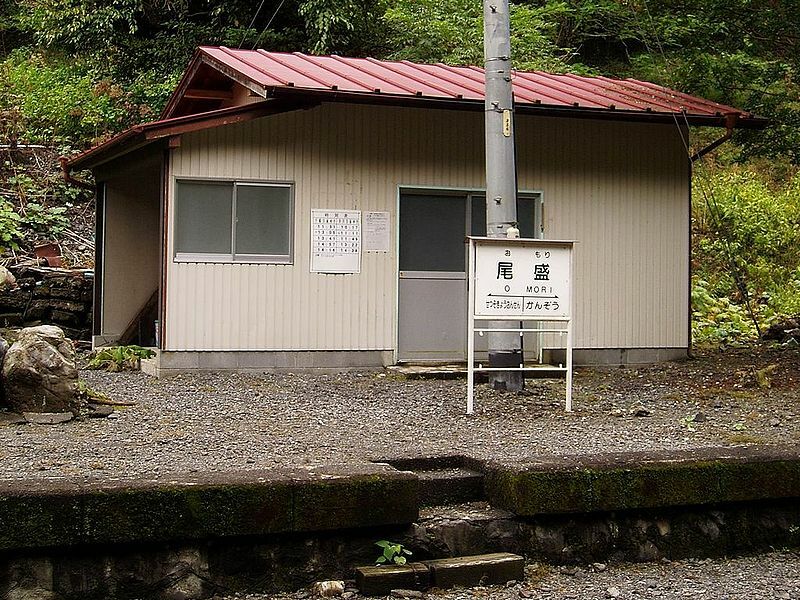 There is a small station building.